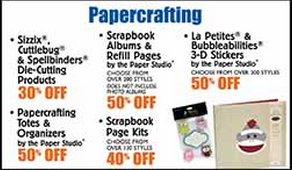 Obsessed with Scrapbooking: New Giveaway and Michaels, Joanns, Hobby Lobby and AC Moore Coupons! New Giveaway and Michaels, Joanns, Hobby Lobby and AC Moore Coupons! 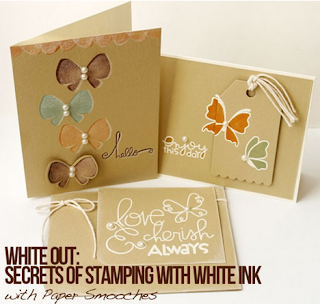 First up, for a limited time, Lain Ehmann is offering her True Stamp 2013 classes a la carte at $7 each, almost half price! Head over here to see more details about the classes! Tracy, please email me at joyster110@gmail.com within two weeks with your full name, address and what you won and I will get that mailed out to you. Allow 2-4 weeks to receive. 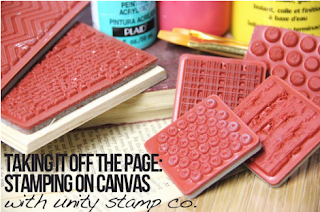 1) Leave a comment below letting me know what you would like to see more of on Obsessed with Scrapbooking. Click HERE if you don't know how to leave a comment. Click HERE to leave a comment if you are seeing this in an email. Winner will be announced on Sunday, June 23, 2013 and has two weeks to claim prize. Prize will be shipped within 2-4 weeks. Lastly, here are this week's coupons! Happy Shopping! This post may contain affiliate links that fund my diet coke habit, which is necessary to produce Obsessed with Scrapbooking. I'd like to see more of what you've been doing - I am never disappointed when I come to look at your blog. Thanks for the inspiration! Congrats Josie enjoy your new cartridge. 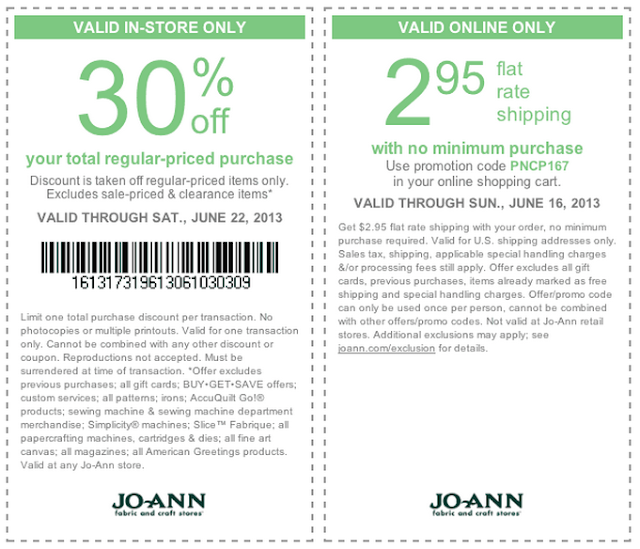 Thanks Joy for the awesome coupons. You definitely know how to spread the JOY!!!! Thanks for the coupons and all the other great info. As to what I'd like to see more of, I already love your mix of posts. I always learn something from your blog, which is what I appreciate the most. so if you keep the mix the same as it has been, I'll be happy as a clam! Double page 12 x 12 spreads is my favorite things to stalk! 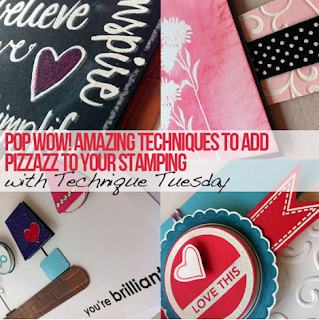 I love getting ideas and techniques from blogs I follow! I love getting your emails :) Thanks for the chance to win the adorable cart- I'm a teacher and can see using it in the classroom! Congrats to Tracy. I like to see cards made with any of the cartridges and I like when you show us new cartridges. Congrats Tracy. I just love to see all of your projects they do inspire me. I have no suggestions. I think you do a fabulous job! I like when you use different cartridges to make cards and other items. You do a great job. Joy - I love your blog. You are so thorough when you explain a cartridge or a project. I would love to see more tutorials with the sizes and how the card is put together. Thanks for a chance this cute cartridge. Would love to see small items for give away around the holidays. All your creations are inspirational. This cartridge is on my WL as 2 daughters in medical fields and 4 grandkids in sports, so lots of bruises and bone repair. This cartridge looks so cute! Thanks for the chance to win! I love your blog & thanks for the chance to win! 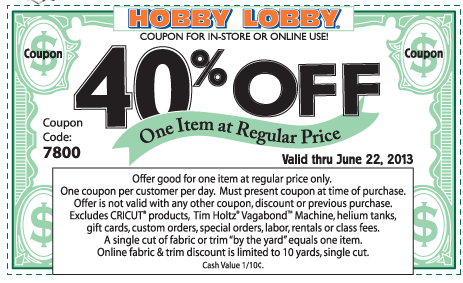 I love everything you post, especially the coupons for the week. I would love to see more tutorials of cards or layouts with the cartridges that you offer, also more tutorials with CTMH products! Love the butterflies. very very nice. I love walking up and checking my email for your crafty inspiration! I would love to see more scrapbook layouts! 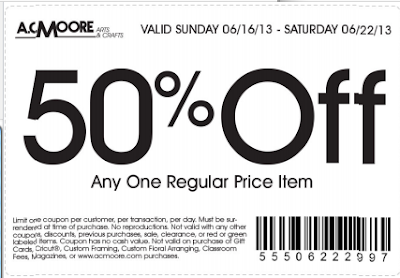 Thank you for always sharing all the coupons with us! If I could jump up and down and scream right now I would. I am at work (shhh...dont tell them!) but you sure did put a huge smile on my face!! Thanks so much! I would love to see more of your beautiful gift bags and vinyl projects. I really want to try to do some vinyl soon! Thanks so much for the coupon and class info. Love your creations. I mostly make cards, mini albums and an occasional 3D project but love to see a variety of crafty creations. TFS. All of you creative ideas are so inspiring. I would like to see some of your craft ideas for different celebrations, birthdays, showers, and holidays. Thank you again sharing. Joy - I love what you post...always eager to see your latest creations! Since I got a Cameo about 5 months ago, I am eager to learn more about it and see projects with it...but Still have 2 other Cricuts I can't ignore! 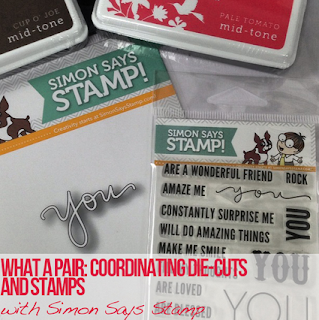 I love your cards, your home decor... scrapbook layouts...ALL you do! This looks like a fun cartridge. I would love to win. Thanks for the chance. Thanks for the coupons! I think you should keep doing what you are doing...always a great stop tp visit and very inspiring! would like to see more cards and double page lo's. I would love to see more scrap booking layouts as well. Double page ones are the best. Thanks! Congrats to the cartridge winner. Need to get those 2 from Close to my Heart. Love your blog and have been a follower for several years! I only own a Cricut and everyone seems to be on a Cameo kick, so only cricut cuts!! Love how you give the directions for your projects too! Thanks for all you do! I have been a follower for quite some time, and I would love to see more 3D crafts. Thanks for the chance to win and for the inspiration you instill in me! thanks for the change to win. 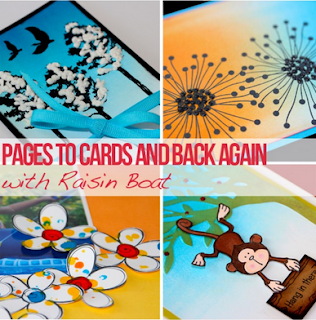 Have really enjoyed reading your blog - I am new to scrapbooking and have learned a lot from you. Really getting into this Cricut thing. I love the inspiration you share, I would like to see more of everything you've been sharing. Joy, five years ago I was recovering from my first back surgery. My husband purchased a Cricut Expression, and I had so many questions. Long story short, you where kind enough to answer all my questions, and referred me to your blog. Well I've been hooked since! So yes, I would love to see more projects from you. Thank you, for sharing your inspriation with the rest of us. I have learned so much from you! I never utilized my cricut until I found you. I would love for you to continue sharing new ways the cricut can be used as new products are released. Thanks for taking the time to make everyone love their machine. Would love to see more layouts. Like everything you post. Thanks for all the great info. Just love this cart. The cuts are so cute. 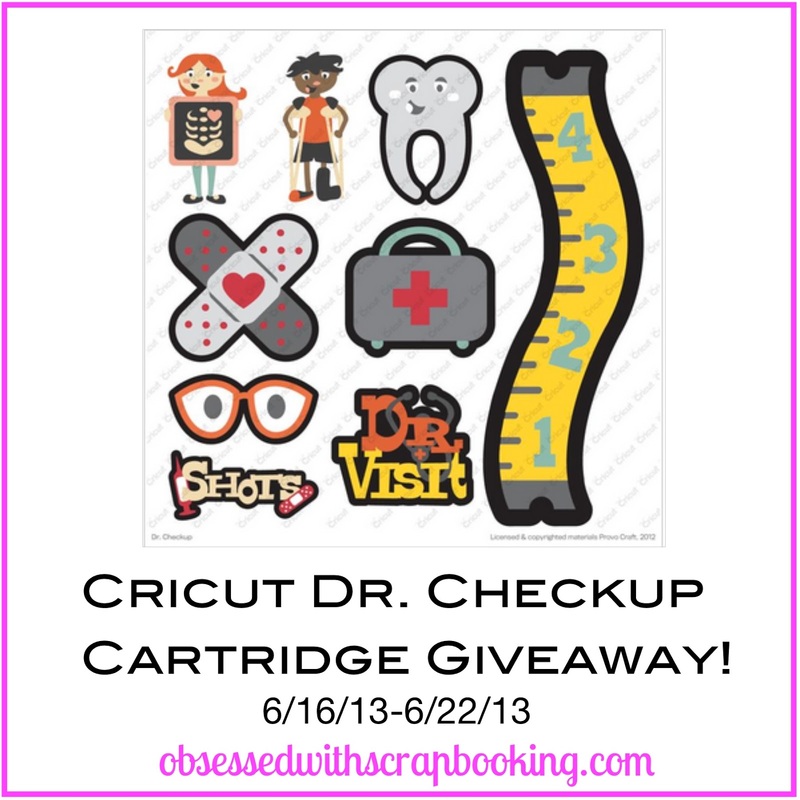 What a great cartridge to work with in scrapbooking or in my case cardmaking. I love your enthusiasm, Joy! Thank you for the coupons. Keep posting cards - they are always adorable. Thanks for all the wonderful information. You are such inspiration! Don't change a thing! 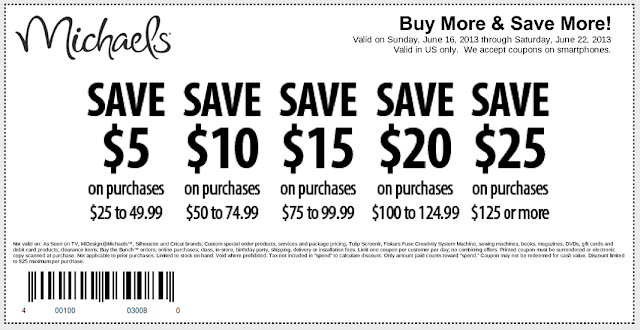 Thank you for posting all the coupons and information! Love that you offer an easy way to obtain coupons & giveaway the coolest carts. andrea (andi)thomas here. LOVE your site and am enjoying casing cards......thank you! Yes...I have started making my Christmas cards. I also make dupes for my daughter in Maine (I'm in Minnesota). I love your patriotic cards - the Bear and the Flag. I am a year round red, white, & blue person so its more fun for me when summer hits.... No Christmas cards started yet and I will be late again this year no doubt about it LOL. My two year old is obsessed with bandaids! She found the drawer where we keep them and applies them to anything that could be considered an "owie." What a great cartridge. I would love to win. I am looking to see more 12x12 pages and double page spreads. Thanks! Thanks, as always, for the coupons. I use them often. I would like to see some humorous card ideas on your blog. I love to bring a smile to someone's face with a humorous card. Thanks for all you do. Dr. 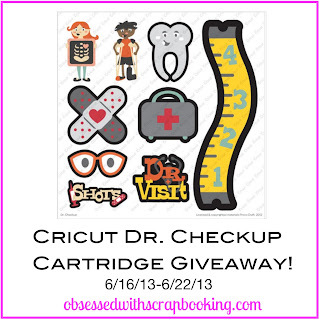 Checkup, what a great cartridge and the chance to win is awesome. Love getting your emails and seeing all you do. I too love the artiste cartridge. All scrapbooking on hold for a few weeks while I recoup from my knee surgery tomorrow. I won't miss your emails, computer is right at hand, so keep sending those great ideas. I'd love to see more inspiration from the older cartridges - combining the images with newer "in" techniques. I'm sure we've all got lots of money invested in the older cartridges and I still love the original images! Thanks for a great giveaway. I would LOVE Dr. Checkup! This is a cute card. Thanks for sharing. Thanks for the coupons! Congrats to the winner! Would love to win this weeks cart! love all kinds of crafting sandy from mi.